Tickets are available for the 39th Annual Soroptimist Wine and Restaurant Faire. Join the ladies of Soroptimist Saturday, June 1, 5-7 p.m. at Coyote Moon and enjoy a variety of wines from wineries near and afar. Bring an empty stomach and be ready to taste a large selection of menu items from local restaurants. The evening includes all you can eat and drink, live music, a silent auction, souvenir wine glass and more. Restaurants featured this year include: Coffee And, Coyote Moon, Drunken Monkey, PJ’s at Gray’s Crossing, Ron Allen Catering, Taco Station, Truckee Sourdough Company, Wild Cherries, Village Pizzeria, Mamasake, Dragonfly, Cottonwood, Marty’s Café and Bar of America. Wineries include David Girard, Truckee River Winery, Amador Cellars, Italian Wine poured by Coffee Bar, Perry Creek, Sierra Nevada Brewery, Fifty-Fifty Brewery and more. Tickets are $40 before and $45 at the door and can be purchased through any SITD member or at Dickson Realty, Chamber of Commerce, Truckee Physical Therapy. For tickets and/or information, contact Nancy Davis at 530-550-1433. Soroptimist International of Truckee Donner is a volunteer service organization dedicated to creating opportunities that improve the quality of life in the community and throughout the world with an emphasis on women and girls. Take action to stop your children from using alcohol or drugs. The 2012 California Healthy Kids Survey reports 19 percent of seventh-graders, 36 percent of ninth-graders, and 52 percent of 11th-graders report past 30-day drinking — putting them at high risk for developing dependence later in life. The TT-FWDD Coalition will be hosting a free Tele-Town Hall live phone forum on Tuesday, May 21, 7:30-8 p.m. with a panel of professional experts from Tahoe-Truckee. The call is free for anyone to join and will be focused on the upcoming prom and graduation, targeting parents on ways to keep their children healthy and safe from the exposure of alcohol and drugs often associated with these two events. Calls will go out to all registered voters in the TTUSD zip codes but participants may choose to call in, 855-246-7045, ext. 21488#. Participants will be given the opportunity to pose questions to a panel of experts. For more information call 530-546-1924 or visit http://www.ttfwdd.com. Kids! Would you like to get your face painted? Be thinking of what you’d like to be. Bring your favorite stuffed animal. Everything from soft fluffy bunnies to ferocious lions and tigers. Take your animal with you around to the games: ring toss and golf (don’t let the bunnies catch the balls). At the Cake Walk, you can win a cake you can decorate yourself. Swim on over to the fishing game, where “lions and tigers” might be eating the fish. Later on, all kids will go outside for the giant water balloon toss. Kids Carnival will be Sunday, May 19, 1:30-3:30 p.m. at the Glenshire/Devonshire Clubhouse, 15726 Glenshire Drive, Truckee. All proceeds received from this “fun” raiser go to cancer research, sponsored by the American Cancer Society’s Relay For Life Truckee-Tahoe. EMS: One Mission. One Team. North Lake Tahoe Fire Protection District (NLTFPD) will celebrate National Emergency Medical Services (EMS) Week throughout the month of May. Celebrated nationally May 19-25, this week acknowledges the outstanding services performed by first responders. The 40th annual event brings together communities and medical personnel to publicize safety and honor those who serve on the front line, providing day-to-day, life-saving services for those in need. The Fire District will host ambulance tours at schools, and educate children about the Emergency Medical System, how to recognize a medical emergency and the importance of dialing 911 in case of a medical emergency. Liberty Utilities invites customers to an open house on Tuesday, May 21, 5-7 p.m. at the North Tahoe Event Center located at 8318 North Lake Blvd. in Kings Beach. Drop by and visit one-on-one with utility management. Families are encouraged to bring their children for special kids’ electrical safety activities. Light refreshments will be served. Liberty Utility management will be available at stations around the room with information about energy efficiency, operations, customer service, planning for the future and a kids’ station. Liberty Utilities is an independent water, natural gas and electric company providing local utility management, service and support to small and mid-sized communities across the United States. With more than 49,000 customers, Liberty Utilities is committed to local decision making that directly meets the needs of its customers. Liberty Utilities currently operates in Arizona, California, Illinois, Iowa, Missouri, New Hampshire and Texas. For more information visit http://www.LibertyUtilities.com. Veterans advocacy groups or related organizations that are interested in participating in the event should contact Joel Scott, constituent services officer for Congressman Tom McClintock, at 916-786-5560 for details on how to participate in the program. At the North Lake Tahoe Resort Association Board of Directors meeting on May 1, Brendan Madigan was chosen to fill the remainder of the year in the seat vacated by Andy Wirth, CEO and president of Squaw Valley Holdings. Madigan is the owner and operator of Alpenglow Sports, Inc. established in Tahoe City in 1979. Many know him as the past president of the Tahoe City Downtown Association. 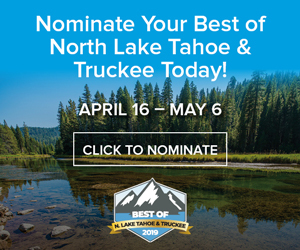 He is respected as a young, motivated, caring, and vested member of North Lake Tahoe. 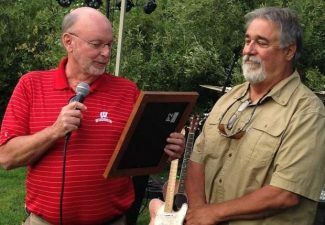 Recently, Madigan was selected for an entrepreneurial award from the Placer County Economic Development Council for both his business practices as well as creating the first Lake Tahoe Nordic Festival this past winter. “I am passionate about most things in our mountain town and will use my passion for the North Lake community to help fuel the well-established and effective North Lake Tahoe Resort Association initiatives already in action,” Brendan offered. NLTRA looks forward to working closely with Madigan. 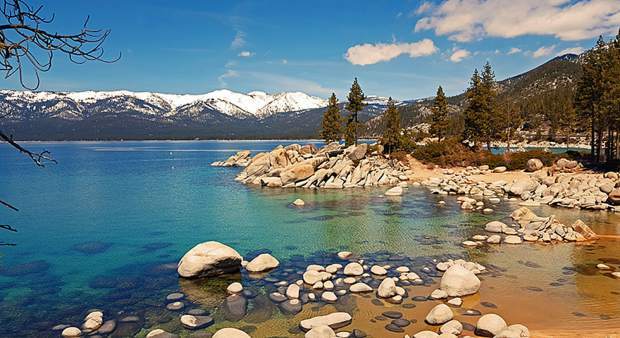 Win a dinner cruise aboard the Thunderbird Yacht and save a piece of Lake Tahoe history. Having raised $260,000 to date, the nonprofit Thunderbird Lodge Preservation Society needs $40,000 to begin restoration of the Whittell Waterfalls at Lake Tahoe’s Castle-in-the-Sky: the Thunderbird Lodge. The Preservation Society will raffle an exclusive evening of fine dining at Thunderbird Lodge, including an elegant cocktail cruise on the 55’ mahogany speedboat, Thunderbird. Tickets must be purchased by June 30. The two winning tickets will be drawn on July 1, 2013. A minimum of 100 tickets must be sold for the drawing to take place. No more than 400 entries will be permitted. Two lucky winners may each send a party of six for a “Secrets of the Castle Tour” followed by an east shore cocktail cruise, and a three-course dinner on the terrace with wine pairings. Wealthy and eccentric Captain George Whittell, Jr. built his summer estate on Lake Tahoe’s east shore in the 1930s. The Thunderbird Lodge Preservation Society is restoring the waterfalls to their former glory. Curbside Green Waste Collection via the Green Bag Program. Truckee residents (must live within the town limits) may place out four, tied green bags for weekly curbside collection. Bags may be filled with pine cones, pine needles, brush, leaves, grass trimming, garden waste, etc. Bags must be tied and weigh no more than 40 pounds each for collection. Green Bags may be purchased at Mountain Hardware, Tahoe Supply Company, Tahoe Truckee Lumber Company, Tahoe Donner HOA Clubhouse. Visit http://www.townoftruckee.com. The Fire Safe Council is encouraging Nevada County residents to prepare for fire season by creating and maintaining 100 feet of defensible space around structures. Ground conditions for wildfire are drying out quickly and officials are predicting an active fire season. To provide assistance to landowners, the Council is hosting a three-week green waste drop program through Tahoe Truckee Sierra Disposal at the transfer station located at 900 Cabin Creek Road in Truckee. The one week events will be held May 20-25, June 17-22 and July 15-20, 8 a.m.-4 p.m. While there is no fee for this program, the nonprofit Fire Safe Council has a suggested donation of $5 per truckload. Proof of residency is required through either photo identification with a Nevada County address or out-of-town homeowners may show a utility bill with a physical Nevada County address to receive the service. The service will accept up to six yards of green waste material during the program. Green waste loads of six yards is approximately two pickup truck loads or 40 50-gallon yard bags. Acceptable materials include: tree limbs, brush, pine needles/cones, dead leaves and yard trimmings. Green waste must be free of food waste, pet waste, dirt, sod or rocks. Participants must be prepared to unload their own material. If transported in bags, you must empty the bags at the site. The Fire Safe Council of Nevada County is a nonprofit volunteer organization dedicated to making Nevada County safer from catastrophic wildfire through fire prevention education, fire break clearing projects and creating Firewise Communities. Visit http://www.areyoufiresafe.com or phone 530-272-1122. The Annual Summit Cleanup is a homegrown event that has become a 30-plus year springtime tradition on Donner Summit. Every year, dozens of volunteers come together to protect the rugged beauty and fragile environment of Donner Summit by clearing away the post-winter debris that clutters walk and water ways. Donner Summit Area Association will present Annual Summit Cleanup which is graciously sponsored by Donner Ski Ranch. On June 1, DSAA members, neighbors and friends will meet at the Soda Springs General Store to get their cleanup assignments from longtime Cleanup organizers, Nancy Latimer, and Supervisor Jennifer Montgomery. Volunteers will spend the morning combing the Summit, picking up the trash that will be hauled away in dumpsters graciously donated by Tahoe Truckee Sierra Disposal. Supplies are donated by Caltrans, American Rivers, and the Soda Springs General Store. DSAA’s after-party is always at an undisclosed location and is a festive start to the summer season. Saturday, June 1, Soda Springs General Store 9 a.m. Everyone welcome! Hats, sunscreen and work gloves are recommended. DSAA will host an appreciation lunch afterward.